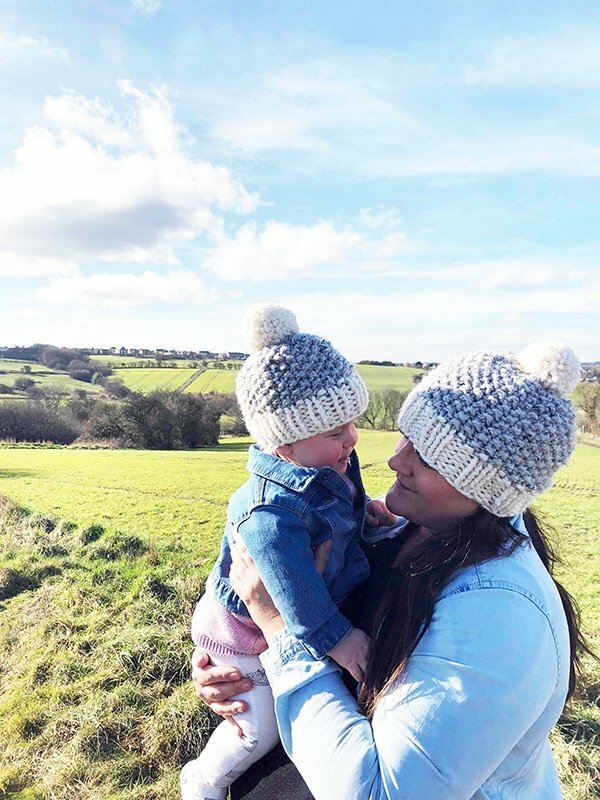 The mommy and me beanies would be a great mother’s day gift for your loved ones. Using knit and purl stitches to create seed stitch (also known as moss stitch), these hats will also introduce you to decreasing and shaping. If you like to wear matching mommy and me clothes, then these hats will make an awesome addition to your wardrobe. They are unisex, so can be worn by anyone and made in a variety of colours. Not only for the mother daughter outfits, but they can also easily be worn by the boys in the family too. If you have never knit in seed stitch before you can take a look at this seed stitch video tutorial. 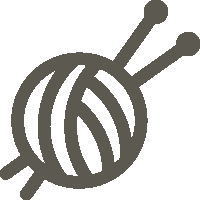 By creating alternate stitches of knit and purl, the textured pattern of seed stitch is created. 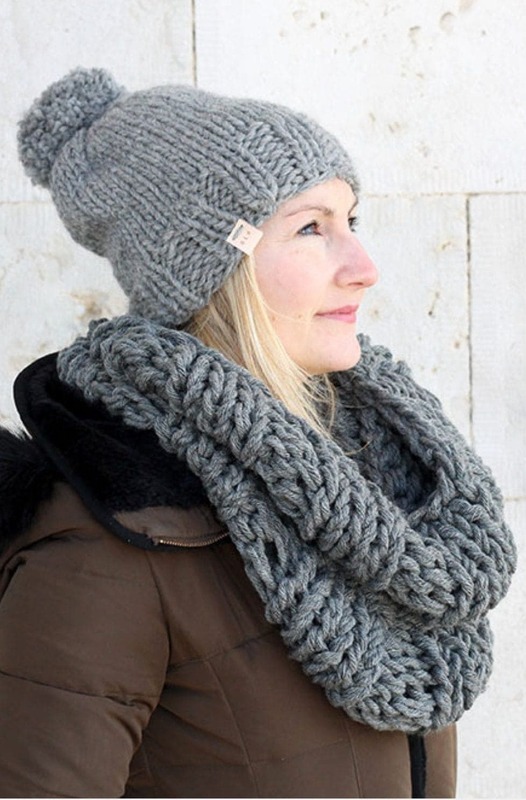 The brim of the adult beanie is knit in 2×2 ribbing and the baby beanie has 1×1 ribbing, if you want to see how that is created, please check out this 2×2 ribbing video tutorial. 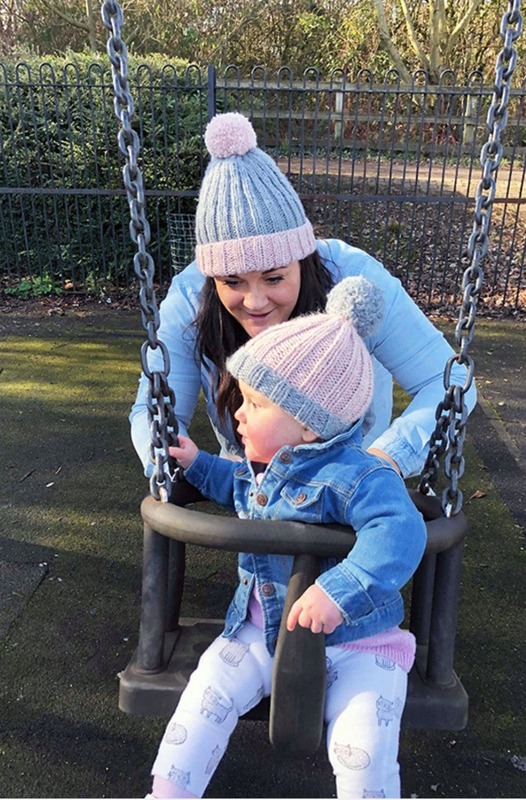 If you like to wear matching outfits with your little one, you may also like this pair of mom and me matching ribbed beanies. They can also be made in a variety of yarns and colour combinations. If you need some inspiration for mother’s day, take a look through my mother’s day gift ideas, including both handmade and bought gifts. 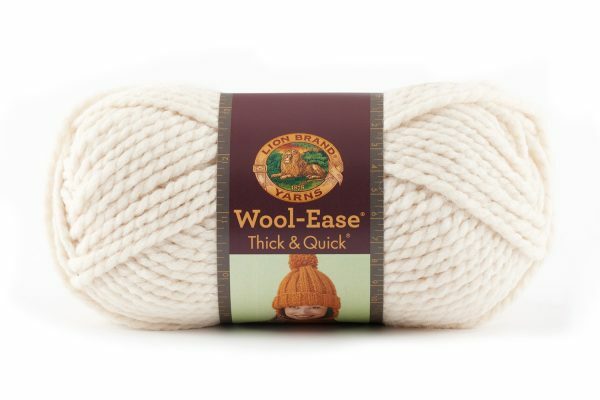 What yarn should I use to knit a hat? For this seed stitch beanie, I used Lion Brand Wool-Ease Thick and Quick in Grey Marble (grey) and in Fisherman (white). 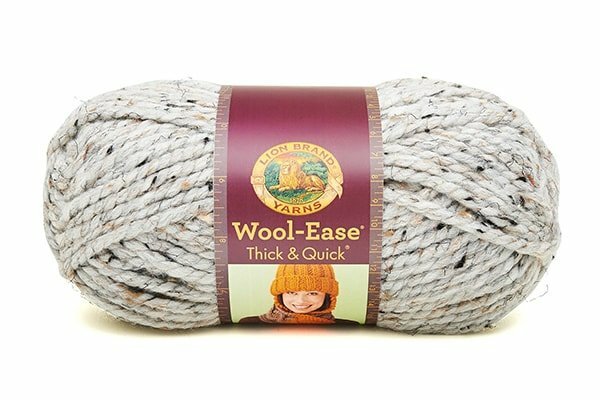 This is a super bulky yarn (06) and knits up really fast on size 9,, (US 13) knitting needles. Any colour combination will look great and there are many colours to choose from in that particular yarn collection. 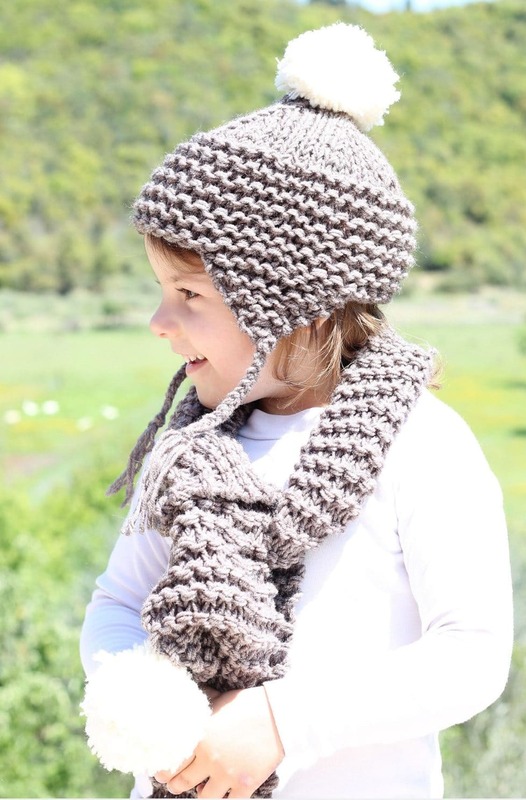 Make a set of matching mommy and me seed stitch beanies that are not only warm but stylish! Any yarn suitable for size 10.00mm (US 15) needles. Cast on > 40 sts in Yarn A, join in the round and pm, being careful not to twist sts. Repeat the above working in 2x2 ribbing until the work measures 2.5″ from the cast on edge. Cut yarn and join in Yarn B.
Rnd 1: K1, P1* Repeat all around. Rnd 2: P1, K1* Repeat all around. Repeat the two rows above until the work measures 8.5″ from the cast on edge. P3tog, K1* Repeat all around. P1, K1 * Repeat all around. Make a pom in Yarn A and stitch it securely on the top of the hat. Cast on > 34 sts in Yarn A, join in the round and pm, being careful not to twist sts. Repeat the above working in 1x1 ribbing until the work measures 2″ from the cast on edge. Repeat the two rows above until the work measures 6.5″ from the cast on edge. 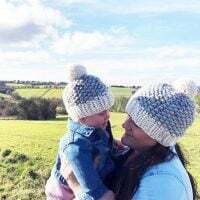 This fmom and me seed stitch beanie set knits up quickly in textured yarn, and the simple design makes for a relaxing and enjoyable knit. Gauge = 6 sts in 6 rows in 2 inches. Baby Beanie Size - H w/o pom = 6.5 inches / W = 8 inches (unstretched). Mom Beanie Size - H w/out pom = 8.5 inches / W = 10 inches (unstretched).